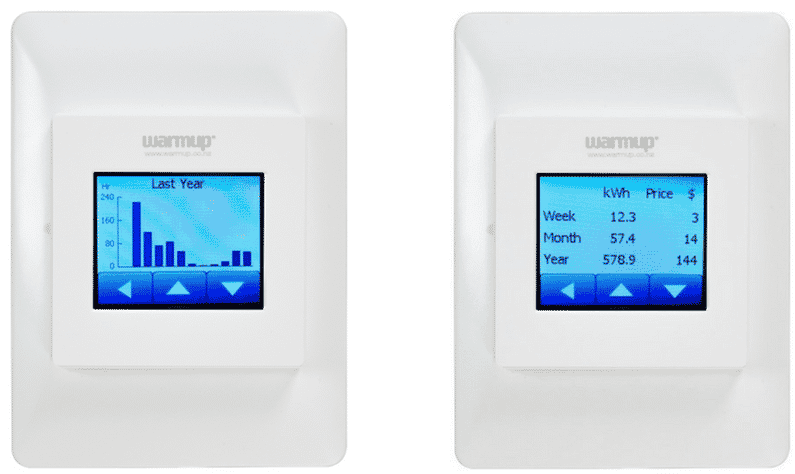 The popular Warmup Colour Touch thermostat is now available with Wi-Fi connectivity. The W3WT02 is packed with smart features and has been developed to provide an experience second to none for both installers and end-users. 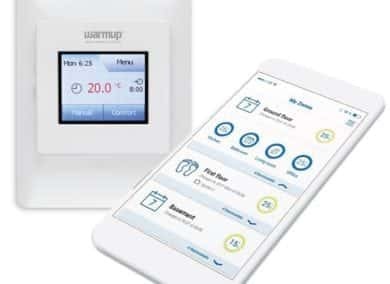 The built-in thermostat with a Wi-Fi function allows users to control their heating via a user-friendly app giving them easy access to full control. The modern design instantly enhances any room’s style. While away from home, the heating can be turned on to ensure a warm welcome on his return. Detailed information on energy consumption etc allows users to control the heating to maximise their energy savings. Full control of the heating can be retained even if internet access has been interrupted. All the programming options and functions can be accessed via the built-in display. Installation and first-time power-ups are very easy through a carefully thought out mechanical design. To get a view on what your running costs could be, use our easy calculator here. For people with busy schedules, the W3WT02’s Wi-Fi ability can translate into huge energy savings without sacrificing comfort or convenience. Control of your heating is back where it belongs…at your fingertips. View the rest of our thermostat ranges and find the right control for you.